Dennis Gada made history again when he beat out defending champ Rob Janovic Jr and Keith Rocco to capture his record 7th SK Modified Track Championship. Gada's title run was one of consistency – after winning 3 of the first 6 races including the $5,000 Budweiser Nationals SK 150, he went winless the rest of the season. Rocco, who competed in an SK Modified at all three Connecticut short tracks, led the division with 7 wins including the season ending Town Fair Tire 100. He also won the NASCAR Whelen All-American Series Connecticut State Championship and led the NWAAS national standings for several weeks during the summer. Jeffrey Paul won the mid-season Pepsi SK 100. Janovic had one 1 victory and was declared the overall winner of the Double Down Shootout. Tyler Chadwick won the North-South Shoot-out qualifier in August. 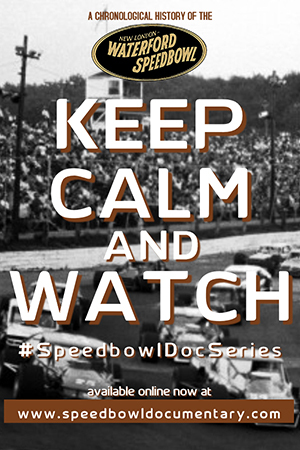 Once again, the SK's were highly competitive as 12 different drivers scored feature wins during the season. 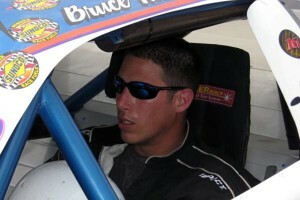 Second-generation driver Bruce Thomas Jr went on to his second straight Late Model title in 2007. Thomas won 10 features and joined Phil Rondeau as the only drivers to win double-digit features in consecutive LM seasons. During his dominate season, Thomas swept the LM Triple Crown events, broke Dennis Botticello's LM time trial record during Pepsi 300 qualifying and was declared the Overall LM Winner of the Double Down Shootout. By season's end, his 29 career Late Model wins tied him with Brian McCarthy for 5th place on the division's career wins list. 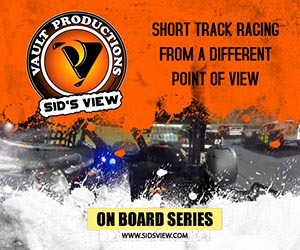 Controversy lingered after the division's the July 19th event was made a non-point event only a few weeks beforehand in order to allow competitors to compete at the prestigious Oxford 250 at Beech Ridge (MA) Speedway. The decision to make the weekly feature a non-point again was made after many competitors told track officials they would attempt to qualify for the Oxford 250 during a drivers' meeting a few weeks prior, but only Thomas and Tom Metcalf actually went to Oxford. A week or two later, car owner Mike Sangermano took his #96 team with driver Ron Yuhas Jr to Thompson Int'l Speedway to compete in the Pro Stock division for the rest of the season. The departure of Yuhas, who led the points earlier in the year and had 2 wins, left Thomas virtually unchallenged for the title for the rest of the season. 2006 Champion Timmy Jordan returned to weekly competition, scored 3 wins and finished second in the standings, 80 points back. The 2007 Sportsman runner-up Al Stone III led the points from opening weekend when he won the 30 lap event. He also led the division in wins with 6 in route to his first ever Speedbowl track title, including the 50 lap event during the Pepsi 300. His bid for a Triple Crown sweep failed after Brandon Plemons took the Finale 50. Walt Hovey Jr finished second in points despite missing the opening event. He won 4 times and was the Double Down Shootout Overall Winner. Ronnie Oldham Jr broke Stone's time trial lap record during the Pepsi 300 and also joined an elite group when he won double features during the August 9th event. In the Mini Stocks, Ken Cassidy Jr scored his second straight track championship by 56 points over Randy Churchill Jr. Both won 4 features to co-lead the division. Churchill won 3 of the first 5 events, including the 30 lap Mini race during opening weekend. He was also the Double Down Shootout Overall Winner. Cassidy's victories included a record 4th straight win in the Finale 50 event. 2-time champion Danny Field ran sparingly, but did capture the 50 lap Mini Stock portion of the Pepsi 300, while 2004 Champ Glenn Colvin also returned occasionally, setting fast time during Pepsi 300 qualifying and winning his first Mini Stock feature since his championship season in 2004. Second generation driver Jason Palmer dominated Legend Car competition, winning 6 features each on Saturday and Wednesday to lead both series. Palmer's season also included breaking the Legend Car time trial record before winning the INEX National qualifier 50 lap race in August. He scored his second straight Wed title – the first Legends driver to do so – but lost his bid for the Saturday crown to returning veteran Shaun Buffington. In the closest point battle of the 2008 season, Buffington beat Palmer by 6 points and Defending Sat Champion Michael Gervais Jr by only 2. Buffington also scored two victories on the same day when he won both the postponed and regularly scheduled 20 lappers during June 28th event. The Wild N' Wacky Wednesday series once again enjoyed a successful mid-week series during the summer months. In addition to Palmer's Legend Car title, other track champions crowned were George Correia in the Super X-cars, Brad Voglesong repeating as X-car champion and former Sportsman stand-out Bill Gertsch Jr won the X-Modified crown. Kathy Civardi once again dominated the Women on Wheels divisions capturing both the Super X and X-car titles. 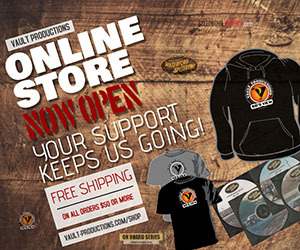 Off the track, 2008 season was one filled with controversy. Prior to the season in November 2007, Bill Roth resigned from his General Manager position and relocated back to the south. At the annual banquet in January 2008, track advisor Pete Zanardi announced that track president Jerry Robinson was in agreement to purchase the track, although by the season's end, he was still only leasing the track from property owner Terry Eames. Eames took legal action against Robinson in September 2008 for failing to make his lease payments, while lien holder Rocky Arbitell began proceedings against Eames for breach of their contract that helped avoid a foreclosure auction the previous summer. 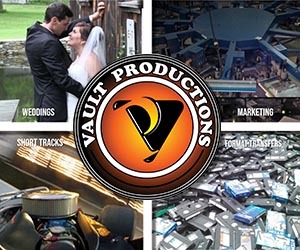 Many touring series did not compete during the 2008 season. For varying reasons, the Allison Legacy North Series and the American 3/4 Midget Association did not compete during their scheduled events. The Allstar Race Truck Series also boycotted the Finale event when they publicly claimed they had not been paid by Robinson for their previous two appearances at the track. The weekly competitors who raced during the Finale Weekend, which was poorly attended, never recieved their purse winnings from Robinson's operations group. Shortly thereafter, Robinson's lease expired and was not renewed. Owner Terry Eames then announced he would return as promoter/operator of the track. Jerry Robinson's highlight during the season was the Wings N' Wheels event held on August 16th. 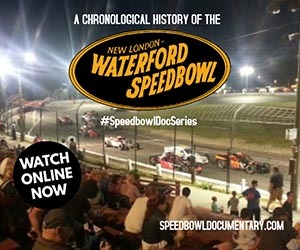 The heavily promoted event featured the SK Modifieds, ISMA Super Modifieds, TVMS Modifieds and the NEMA Midgets. Ron Yuhas Jr won his first SK Modified event driving for car owner Mike Murphy. Liquid Lou Ciccone won the ISMA race while local favorite and eventual TVMS Champion Chris Pasteryak won his first career Tour Modified event as his home track. Randy Cabral won the NEMA event – one of 4 at the Speedbowl during 2008. 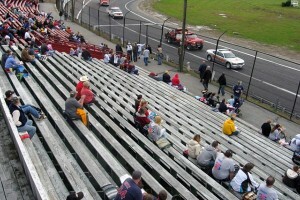 The crowd on hand was by far the largest of the season and event drew the best attendance since the Funk Master Flex Late Model Invitational during the 2004 season. 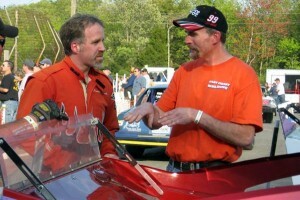 Many former Speedbowl veterans returned during 2008. In addition to Glenn Colvin in the Mini Stocks, 6-time Champion Phil Rondeau returned to the Late Models during the last month of the season. 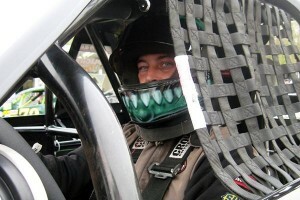 Former Sportsman Champion Glenn Boss won the New England Sports Modified event during Town Fair Tire Finale Weekend. Finale winner for the second Outlaw Stock race was won by 3-time Track Champion Corey Hutchings, while former Sportsman champion Chris "Moose" Douton won his first event in the division in 5 seasons. At season's end, long-time supporting division competitor Jeff "Soup" Civardi announced his retirement from driving to become a car owner for the 2009 season.